Rock house is a substantial impressive detached residence nestled in the exclusive and sought after area of Edginswell. 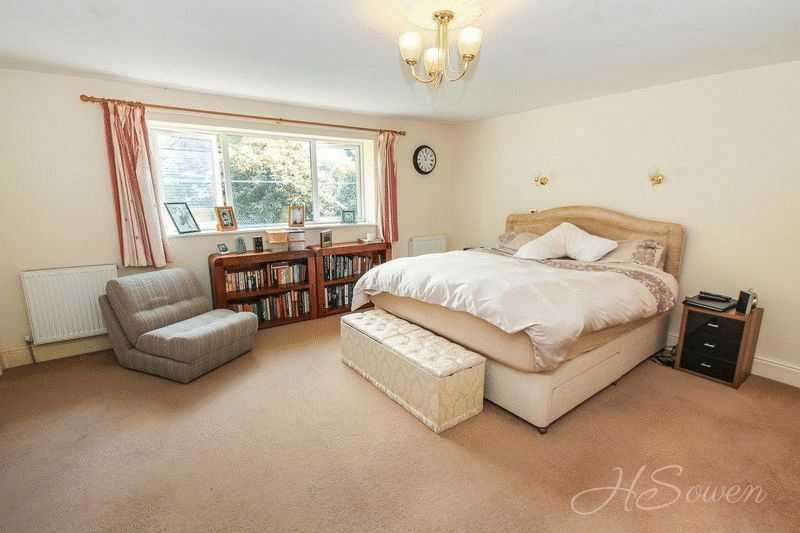 Offering over 3000 square feet of internal accommodation there is a fabulous amount of space. 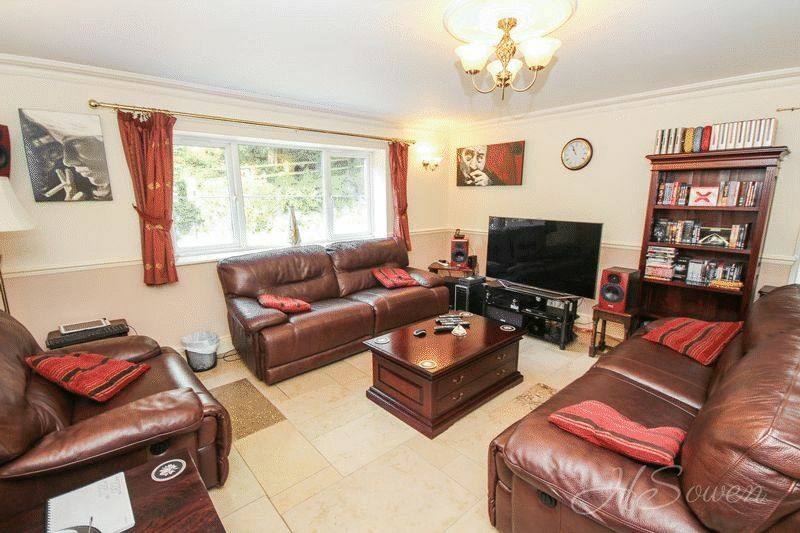 This well presented family home built in 2000 boasts stunning quality finishes and provides flexible, spacious living accommodation arranged over three floors. 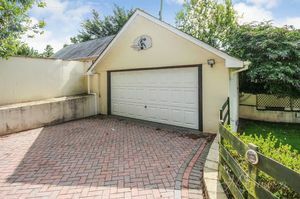 The property benefits from underfloor heating to the ground floor, a 27ft living room, solar panels generating a healthy income and a driveway with gated access leading to a detached double garage with further boarded out roof space and power. This extensive family home is accessed via a gated driveway leading to the properties private drive and detached double garage. 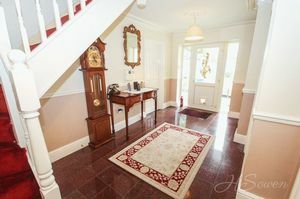 Steps lead down to a double glazed door giving access into the entrance hall. The hallway is bright and spacious, giving access to all principal rooms with stairs rising to the first floor. 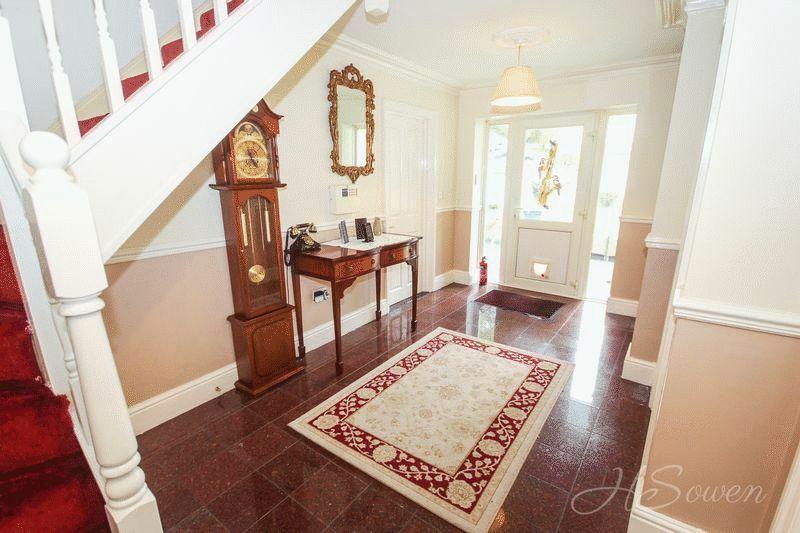 Stunning marble tiled flooring flows throughout the ground floor of the property complimented by underfloor heating. 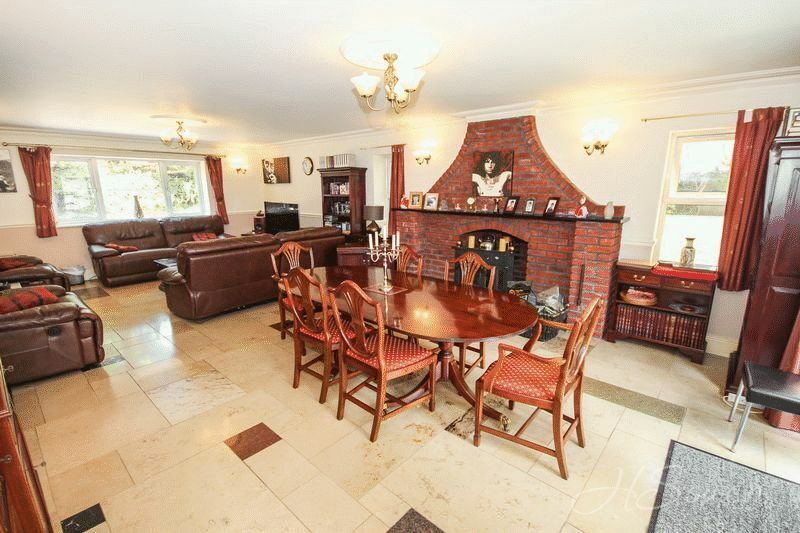 A true feature of this property is the 27ft living room providing a real wow factor. The exposed brickwork fireplace with wood burner creates a cosy ambience to this grand room and triple aspect windows allow for an array of natural light to flow through. Double glazed french doors give you direct access onto the decked area of the garden, sheltered by a veranda style porch. Across the hall is the well positioned dining/family room. 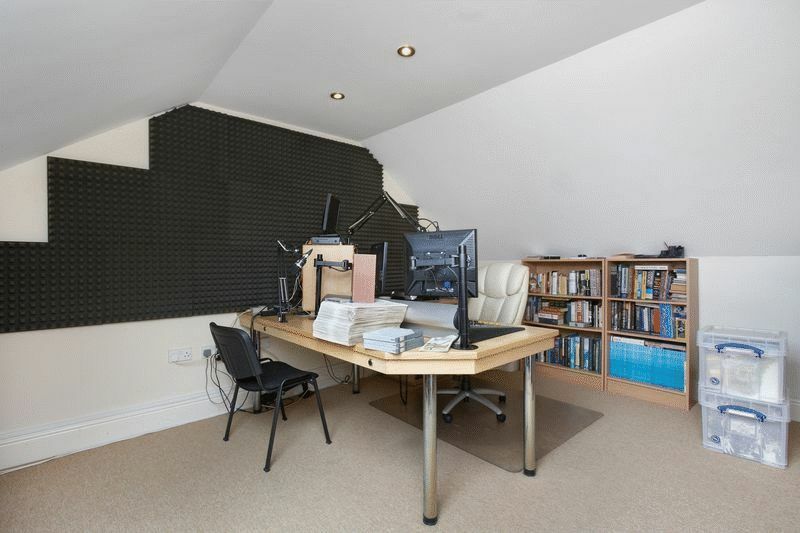 Again another good-sized room, it is currently arranged as a home office, providing flexible uses it would make a fantastic formal dining room. Beautiful ornate cornice work can be seen to the ceilings and to most of the rooms to the ground floor, accompanied by ceiling roses providing the final touch of elegance. Double glazed french doors allow you to step straight out onto the decked area with the garden beyond. Back into the entrance hall you will find doors giving access to a walk-in cupboard housing the hot water cylinder and an additional door leading to a conveniently placed cloakroom. The kitchen/breakfast room is of a quality modern design, spacious in size it offers fantastic space for a dining table and chairs ideal for a growing family. It has been fitted with a range of matching wood fronted units complimented by contrasting granite effect work surfaces over. Additional storage can be found by way of a variety of display cupboards. 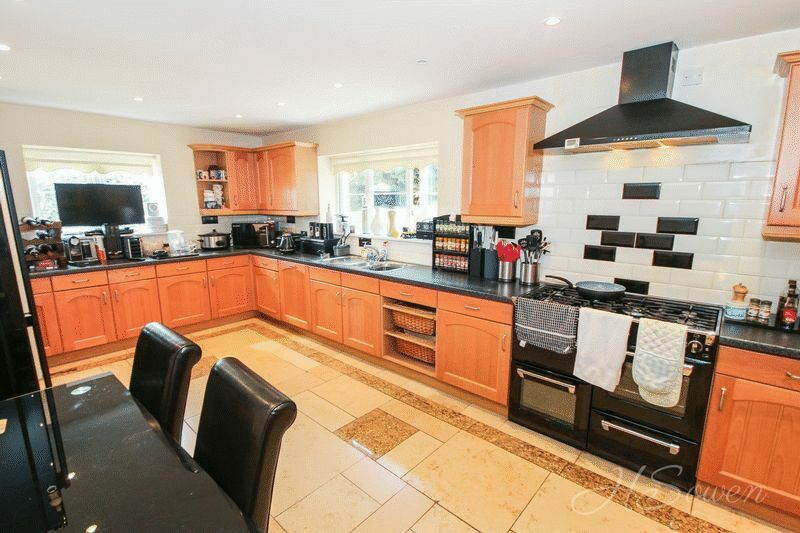 The kitchen is equipped with a range style cooker featuring three ovens, a seven ring gas hob and a canopy hood over. 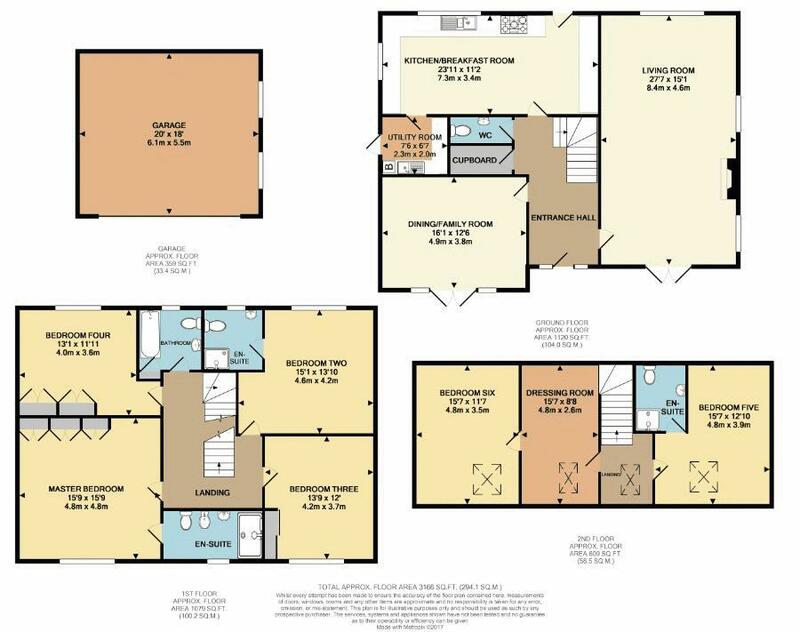 It also benefits from an integrated dishwasher and space for an american sized fridge freezer as well as a double glazed door leading to the front aspect. The one and a half bowl sink and drainer unit sits graciously beneath a double glazed window to the front aspect with a second window to the side. Feature tiling and spotlighting add the final touches to this exquisite room. Leading on from the kitchen/breakfast room is a useful utility room. Fitted with matching units to those of the kitchen, it is equipped with a sink and drainer unit and has space for both a washing machine and a condensing tumble dryer. A double glazed door provides access to the side of the property leading to both the front and rear elevations. Making your way to the first floor you will reach the galleried style landing offering access to four bedrooms, the family bathroom and stairs rising to the second floor. All four bedrooms are spacious double rooms equipped with a range of built-in bedroom furniture. The master bedroom boasts a four-piece en-suite shower room comprising of a double shower cubicle with mains shower, a low level WC, a pedestal wash hand basin and a bidet. Bedroom two also enjoys en-suite facilities comprising of a shower cubicle with mains shower, a low level WC and a wash hand basin. 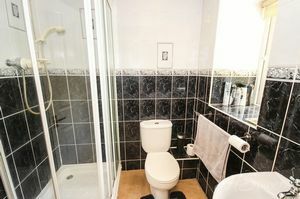 The family bathroom is fully tiled and is a three-piece suite. It comprises of a panelled bath with a shower over, a pedestal wash hand basin and a low level WC. Upon reaching the second floor landing you have access to bedrooms five and six as well as eaves storage. A velux style window provides fantastic natural light adding a light and airy feel. 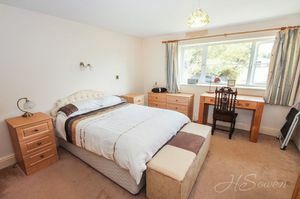 Bedroom five is again a fantastic sized double bedroom and boasts en-suite facilities. 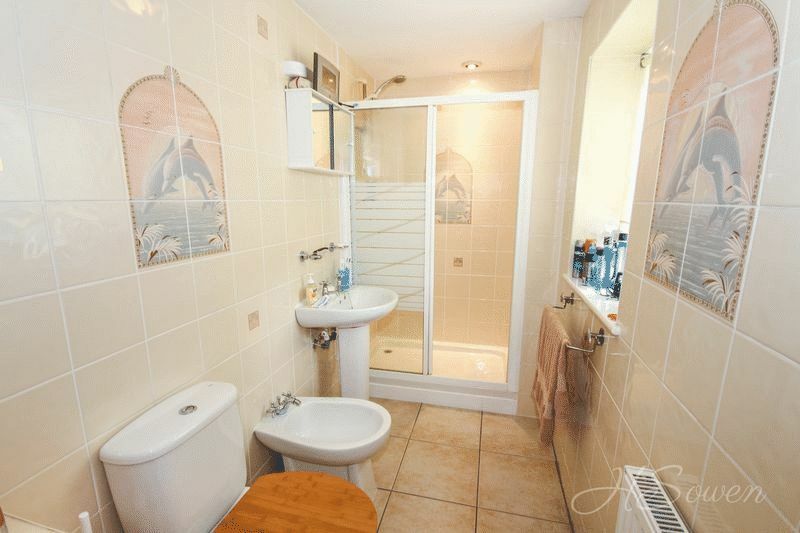 The shower room comprises of a corner shower, a low level WC and a wash hand basin. Bedroom six across the landing has been arranged into two rooms by a stud wall providing flexible use for its new occupiers. The first room has a velux style window and would make a fantastic dressing room. 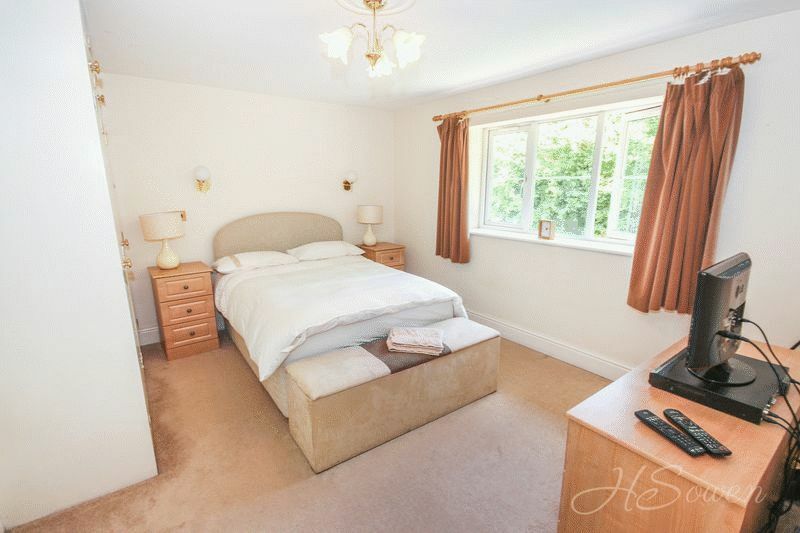 The second room is a great size as a double bedroom and also features a velux style window. Two wrought iron gates lead onto a block paved driveway which in turn leads to the private block paved driveway allowing ample off road parking. In turn this leads to the detached double garage with a remote control up and over door, light, power and a full boarded loft providing great storage facilities. From the driveway there are steps that descend to the secluded garden area that is laid to a combination of level lawned garden and timber decking. The decked area offers the perfect haven for alfresco dining with a veranda style porch over. There is an aluminum framed greenhouse and access down both sides of the property leading to the shrubbery garden where there is a block paved area with gated access to Edginswell Lane. 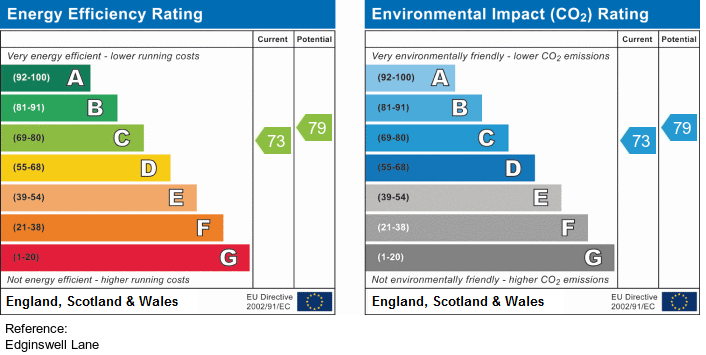 The property benefits from roof mounted solar panels generating an income of approximately £600pa. There is security camera system and halogen lighting to the front and back of the property. 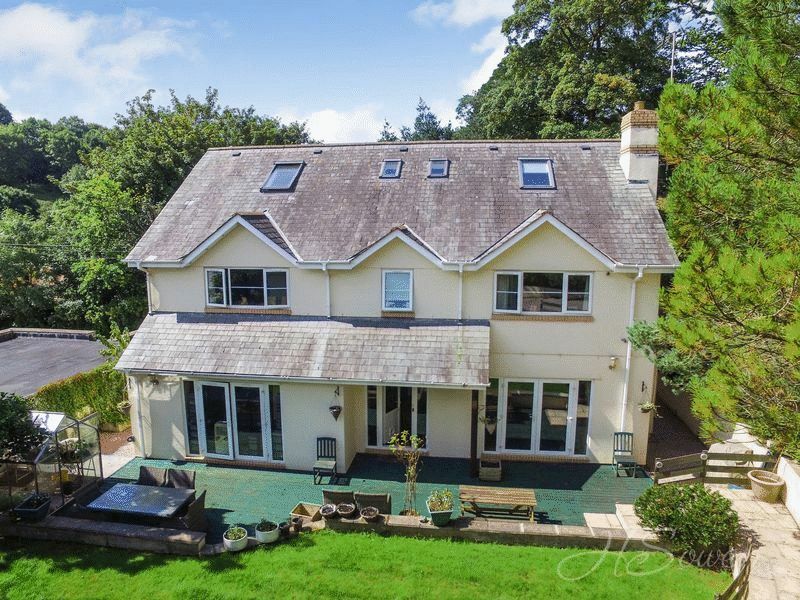 Internal viewing of this property is highly recommended to fully appreciate the size, elegance and high calibre build this property possesses. 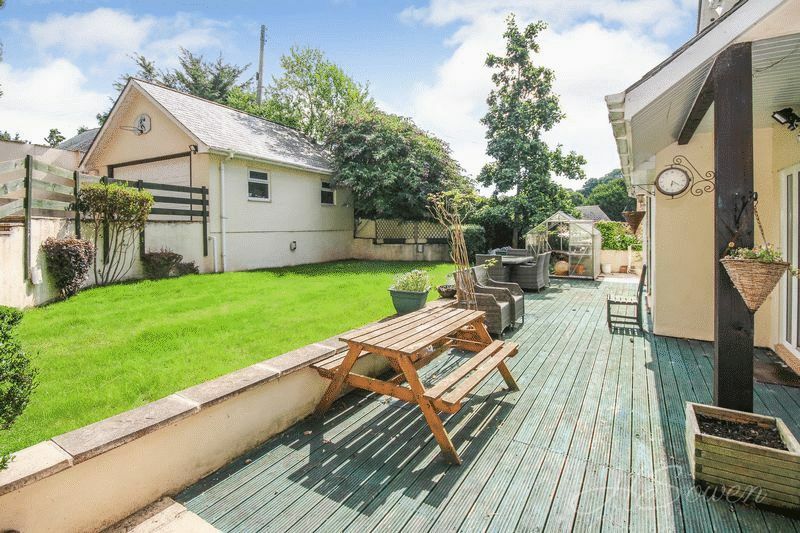 Edginswell is an exclusive and highly sought after village with outstanding natural beauty yet with excellent transport links. A local restaurant 'The Wighton' is situated a short walk away from the property, as well as a parade of local amenities in Shiphay. Torbay hospital and the Torquay Grammar schools are also situated close by. 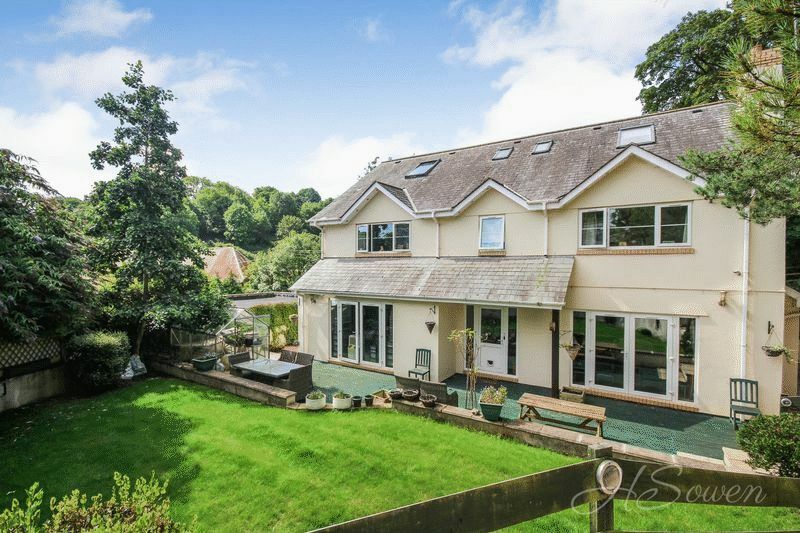 The property is within easy reach of The new South Devon Highway providing a faster route to the A38 with a journey time of approximately 30minutes to The Cathedral City of Exeter. Torquay is home to an array of picturesque landmarks and local attractions to include Living Coasts, Princess Theatre, Kents Cavern and the Model Village. A variety of beaches are on offer for both sun loungers or water sport enthusiasts with the power boat racing event occurring annually. Wonderful tiled flooring with underfloor heating. Thermostatic control. Wall mounted remote for garage door. Access to all principal ground floor rooms with stairs rising to the first floor and beyond. Under stairs storage cupboard. Decorative cornice to ceiling and two ceiling roses. Dado rail. Walk-in cupboard housing pressurised hot water cylinder. Smoke alarm. Modern white suite comprising of a low level WC and a wall mounted wash hand basin. Tiled splash backs. Tiled flooring with underfloor heating. Extractor fan. Extensive living room currently arranged as a living/dining room. Double glazed windows to the front, side and rear elevation providing a wonderful triple aspect. 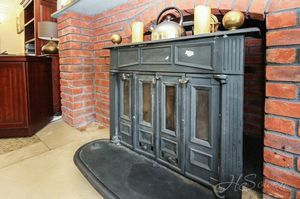 Feature brick built fireplace fitted with a wood burner and display mantle over. Multiple wall light points, dual ceiling roses and cornice to ceiling. Quality tiled floor with underfloor heating. Double glazed french doors leading to rear garden. Dado rails. Television point and Cat 5 cabling. Underfloor wiring for home theatre system. Serving hatch to the kitchen. Tiled flooring with underfloor heating. Decorative cornice work to ceiling, centre ceiling rose and multiple wall light points. Cat 5 cabling and dado rails. Double glazed french doors with matching picture windows to rear garden. Fitted with matching wall and base units to those of the kitchen with granite effect work surface over and complimentary display cabinets. Inset sink and drainer unit. Cupboard housing the gas fired 'Glowworm' boiler. 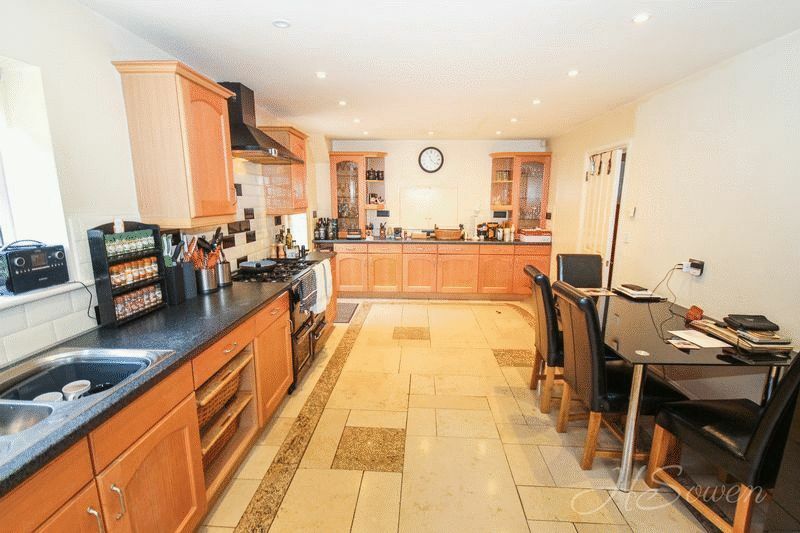 Tiled surrounds and flooring with underfloor heating. 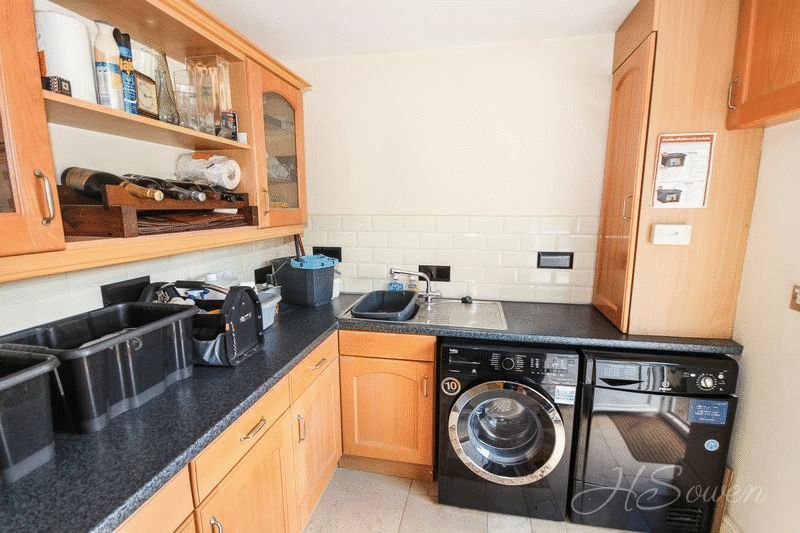 Space and provisions for a washing machine and space for a condensing tumble dryer. Double glazed door leading to side elevation. Power points and wall mounted radiator. Doors leading to four bedrooms and family bathroom. Stairs rising to second floor. Double glazed window with outlook over garden and the detached garage. 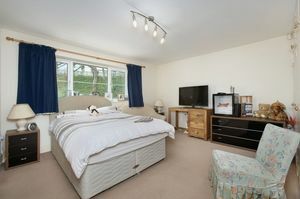 Range of built-in bedroom furniture to include multiple wardrobes. Two wall mounted radiators. Wall light points and power points. Central ceiling rose. Four-piece suite comprising of a rectangular shower cubicle with sliding door and mains shower, low level WC, pedestal wash hand basin and a bidet. Double glazed window. Tiled walls. Spotlights to ceiling. Three-piece white suite comprising of shower cubicle with mains shower, low level WC and pedestal wash hand basin. Tiled to walls. Double glazed window to rear aspect. Extractor fan. Wall mounted radiator and power points. Built-in wardrobe. Double glazed window overlooking the garden. Ceiling rose. Double glazed window to rear aspect. Range of built-in wardrobes. Wall mounted radiator and power points. Wall light points. Ceiling rose. Three-piece suite comprising of wood panelled bath with shower over, pedestal wash hand basin and a low level WC. Fully tiled walls and floor. Wall mounted radiator. Double glazed window to front aspect. Wall mounted cabinet. Velux style window, wall mounted radiator and access to eaves storage. Modern three-piece white suite comprising of corner shower cubicle with glazed screen and wall mounted shower, pedestal wash hand basin and low level WC. Tiled to walls and floor. Wall mounted radiator. Extractor fan. Velux style window and sunken spotlights. Power points. Pitched roof with automatic up and over electric door. Two windows to side elevation. Power and lighting. Ceiling boards providing additional storage facilities. Two wrought iron gates that lead onto a block paved driveway which in turn leads to the private block paved driveway allowing ample off road parking. In turns this leads to the detached double garage with remote control up and over door, light, power and a full boarded loft. From the driveway there are steps that decend to the secluded garden area that is laid to a combination of level lawned garden and timber decking. The decked area offers the perfect haven for alfresco dining with a veranda style porch over. There is an aluminum framed greenhouse and access down both sides of the property leading to the shrubbery garden where there is a block paved area with gated access to Edginswell Lane. The property benefits from roof mounted solar panels generating an income of approximately £600pa. There is security camera system and halogen lighting to the front and back of the property.